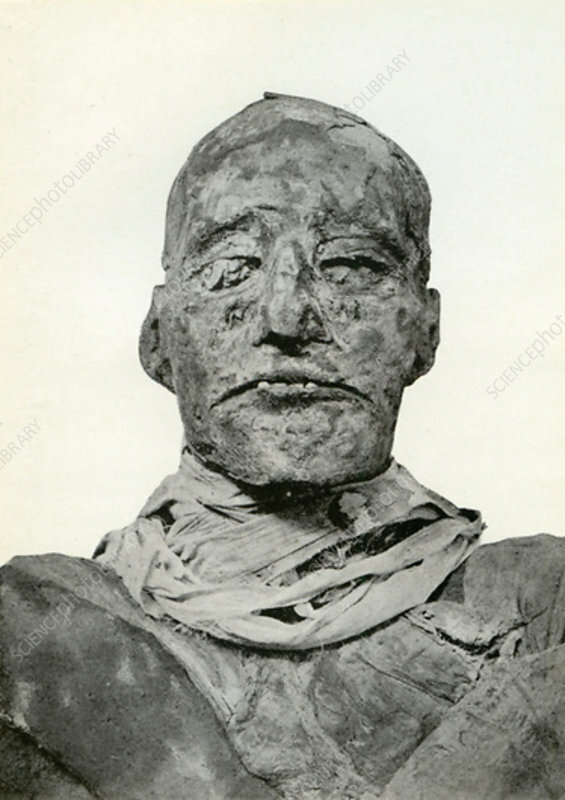 Head of the mummy of Rameses III, Ancient Egyptian pharaoh of the 20th Dynasty, c1156 BC (1926). Rameses III ruled Egypt from 1187 until 1156 BC. He is regarded as the last great pharaoh of the New Kingdom of Ancient Egypt. A print from Kings and Queens of Ancient Egypt, portraits by Winifred Brunton, Hodder and Stoughton, London, 1926.